Safely through the the semi-finals of the Copa del Rey, attention switches back to the league, with the runaway leaders at home to Alavés (8.45pm CET - GET TICKETS HERE). Barça could match the club record set under Pep Guardiola in 2009/10 of going 21 games into a league season without losing once. Up against them is a side that that will be looking to repeat their shock victory on their last visit to the Camp Nou. Ousmane Dembélé and Thomas Vermaelen are injured and will play no part in this one, and Andre Gomes is out with a digestion issue. Denis Suárez and Gerard Deulofeu are the two other players whose names have been dropped from the Barça list. Ruben Duarte returns from suspension for Alavés, but both Rodrigo Ely and Tomas Pina are ruled out because of their red cards last time out. Manu García, Héctor Hernández and Burgui remain on the injury list. Munir El Haddadi returns to the Camp Nou but another Barça old boy, Bojan Krkic, hasn’t been selected. Ernesto Valverde was insistent that this will be no easy fixture in his pre-match press conference, citing the fine form shown by Alavés since Abelardo Fernandez took charge of the relegation threatened outfit, and especially their excellent display (despite losing) against Valencia in the cup this week. He refused to offer any clues as to whether new signingsPhilippe Coutinho and/or Yerry Mina will be in his starting XI. Talk about form! 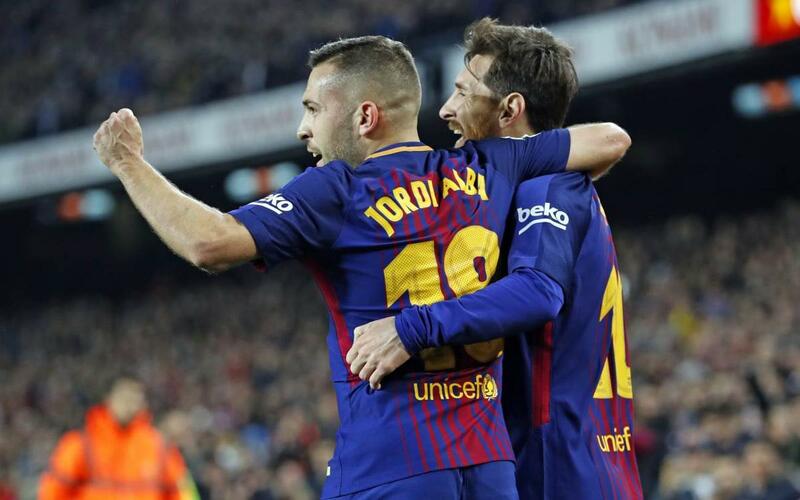 Barça have now gone a total of 27 league games without defeat. Luis Suárez has scored in seven straight league games. Leo Messi has provided assists in all of his last five. And they went into the weekend a massive eleven points clear at the top of the league table. As for Alavés, they really have turned the corner under Abelardo. Although they’ve not won their last three in all competitions, they do have four wins from their last seven in La Liga and have finally lifted themselves out of the relegation zone. The two teams have met on 12 occasions in the League at Camp Nou. Barça have won nine, drawn one and lost two. Of course, the game is also a repeat of last year's Copa del Rey final, the Basques' only ever appearance at the showpiece event. The game will be broadcast on numerous channels around the world but if for whatever reason you can’t get to see the game, you could try listening instead to our live English commentary on Radio Barça (the link will appear on the home page shortly before kick-off), or checking our official Twitter account. If you are lucky enough to be in town, then this is the place to get tickets to the game.